Support for Counting Crows and Alison Krauss comes from revered Americana singer-songwriter Jake Smith AKA The White Buffalo. Counting Crows, the multi-million-selling folk-rockers and Alison Krauss are confirmed to play and both will perform full sets. 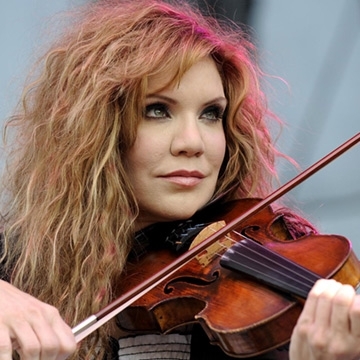 Alison Krauss has enjoyed an illustrious 30-year career that has seen her win 27 Grammy Awards, sell over 12 million albums and collaborate with the likes of Robert Plant, Willie Nelson, Dolly Parton, Taylor Swift, Kenny Rogers, Emmylou Harris and James Taylor. Running from Friday October 26th to Sunday 28th, the line-up for this year’s festival sees Counting Crows, Alison Krauss joining Robert Plant, Van Morrison, John Fogerty and Steve Miller.